At Gillware, we’ve been developing advanced data recovery techniques for use in our data recovery lab since 2004. Through the tireless work of our expert data recovery engineers, we’ve managed to succeed even where other labs have failed. What’s In an Advanced Data Recovery Lab? In Gillware’s lab, you’ll find the clean room workstations that are, of course, the bare minimum for any professional data recovery company. In these workstations, engineers can repair failed hard disk drives without worrying about outside contaminants damaging their sensitive innards. But you’ll also find a lot more than just clean rooms. 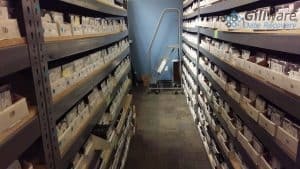 You’ll also find a donor library stocked with over 100,000 hard disk drives. Repairing a hard drive isn’t like fixing a car. Your mechanic can just order a new muffler—but we can’t just but new read/write heads. We have to take an entire hard drive and salvage parts from it instead. Over the years, we’ve built up an incredible library of hard drives to serve as donors. Gillware uses proprietary forensic imaging software to recover data from failing and repaired hard disk drives. Our imaging tools, developed in-house by our own computer scientists, are write-blocked and fault-tolerant. This keeps the data on our customers’ original hard drives pristine and unchanged and allows us to read data even when any other data recovery software tool can’t. One of the many benefits of using in-house software is that it keeps our engineers fully in control of the data recovery process. Our developers can also easily tweak it to better fit our needs. You’ll also find a platter burnishing machine in Gillware’s data recovery lab. This piece of technology is derived from the same tools used by HDD manufacturers themselves to polish hard disk platters. When hard disk platters become severely scratched, the magnetic coating gets scraped off. The resulting dust embeds itself in the platters. In order to salvage the remaining data from the drive, our engineers need to clean the dust off. And nothing does the job better than a bona fide platter burnisher. Since 2004, Gillware’s engineers have successfully recovered data from RAID arrays of all stripes and sizes. Servers typically use anywhere from two to two dozen hard disk drives or even more, linked together using complex RAID algorithms. When enough hard drives in the array fail, the server crashes. Fixing the failed hard drives is often the easier part of a RAID data recovery case. After creating complete forensic images of each drive in the array, our data recovery experts must analyze the contents of each drive and piece them together. Some levels of RAID array are extremely complex; if the server failure is severe enough, our engineers might have to navigate around “holes” in the array caused by permanent and irreversible hard disk damage as well. Professional server data recovery experts need to have a 100% understanding of how RAID arrays combine hard disk drives together. Otherwise, recovering data from complex servers is nigh-impossible. At Gillware, our experts understand the ins and outs of every level of RAID array. 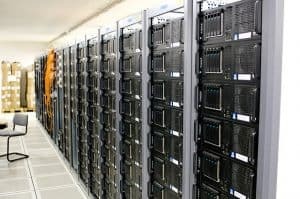 With a comprehensive knowledge of how these systems work, our computer scientists and engineers have developed custom software tools to untangle and reassemble crashed RAID servers after reviving their constituent hard drives. Virtual machines make life more convenient in many ways. They can allow multiple users to run remote desktops, all of which are stored on a single server. They can give users the flexibility to easily “roll back” their computer in the event of a virus infection or an update gone wrong. And they can help a small business recover from a server failure with almost zero downtime. However, when virtual machines fail, they can prove to be a headache and a half, even for data recovery professionals. But not so for Gillware’s virtual machine experts. There are three parts to a typical virtual machine data recovery case. First, the physical device containing the machine must be imaged. This could be anything from a single hard drive to a 12-drive RAID-5 array. Next, the engineers must explore the VMFS volume containing the virtual machine and extract the machine. Finally, the virtual machine must be “translated” onto a physical hard drive and analyzed. Another data recovery lab might use up to three separate tools for each step. The drawback here is that in moving from one tool to another, small but crucial facts about the situation at hand can get lost in translation. A problem can rear its head at any point in the process. But the engineer can’t determine at which step the problem actually arose. The result: sub-par data recovery. At Gillware, our virtual machine data recovery experts avoid this issue. We use the same data recovery tool for every step of the process. In fact, we use the very same forensic imaging software we developed in our data recovery lab. This gives us the ability to exercise a high degree of control and finesse, preventing any sign of problems and difficulties from getting lost in translation. Some of the biggest leaps and bounds in Gillware’s advanced data recovery toolbox happen in the world of flash memory. This is true mainly because some of the biggest leaps and bounds in the data storage industry today happen in the world of flash memory. 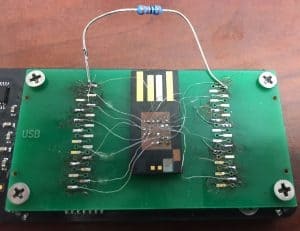 Flash storage devices, like USB thumb drives, SD cards, microSD cards, and solid state drives, store data on NAND chips instead of spinning disks. While it doesn’t look a whole lot different to the end user, flash memory chips store data in a fundamentally different manner than traditional hard disk drives. Data recovery professionals must play a constant game of “catch-up” with flash device manufacturers. Any advance in flash data storage can require a totally new approach to recovering data. For example, take monolithic NAND chips. When these types of NAND chips started showing up in the flash drives and memory cards that arrived in our data recovery lab, our engineers had to figure out how to retrieve the data from these devices. After a lot of hard work, we developed a method to access the chips and successfully read and understand their contents. Solid state drives present many hurdles for data recovery experts to jump over as well. 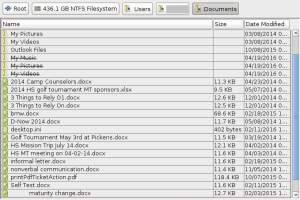 Like hard drives, there’s no documentation on their inner workings or firmware. Or, at least, none their manufacturers would want publicly available. But unlike hard drives, solid state drives are much more complex in many ways. They also haven’t been around as long, giving data recovery engineers little time to develop tools and techniques for efficient SSD data recovery. Gillware has cleared many of these hurdles through a combination of home-grown innovation and partnerships with SSD manufacturers. 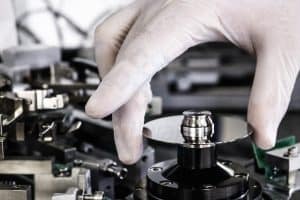 No matter how many advanced techniques our engineers must employ to recover a customer’s data, we still provide an affordable and completely financially risk-free data recovery service. Our data recovery process starts when a customer sends their failed storage device to our lab in Madison, Wisconsin. We provide a free prepaid UPS shipping label to customers in the continental United States, whether their storage device is a hard drive, a thumb drive, or an entire RAID server. Once the customer’s device arrives in our lab, our experts perform a careful evaluation at no cost to the customer (upfront or otherwise). At the end of the evaluation, we present the customer with an exact price quote. There’s no charge or penalty for declining the price quote. After approving the quote, we go ahead and do all of the work we need to do—using as many advanced data recovery tools and techniques as necessary. We don’t charge upfront for data recovery work. In addition, we don’t even charge a penny if we end up unable to recover a customer’s important data.